Meditech Global are a Qualsafe Awards ‘trailblazer’ centre delivering the First Response Emergency Care (FREC) training modules. The FREC modular pre-hospital training syllabus enables learners to attain knowledge & practical clinical competencies in emergency care from level 3, to level 4, then administration of life saving medications before achieving diploma level 5. FREC offers learners a pathway to enhancing their individual capabilities within all sectors of pre-hospital medical care. When achieving FREC with Meditech Global you are guaranteed to receive tuition from our frontline, experienced instructors including active HCPC paramedics. 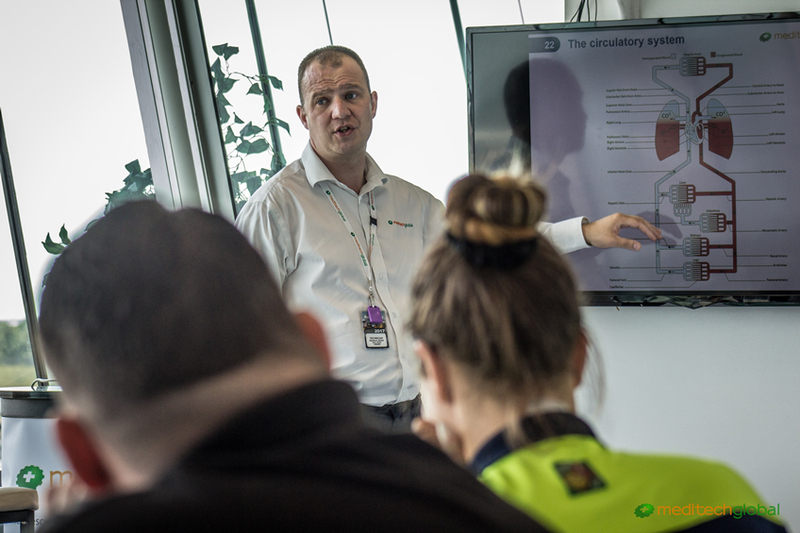 FREC training is delivered in our unique and modern training facilities, here at Rockingham Motor Speedway Training Centre in Corby, Northamptonshire. Alternatively, training can be delivered on your premises providing there are suitable facilities available. Learners will be provided with excellent teaching and support materials with realistic practical training scenarios included. Every learner will receive a free Royal College Of Surgeons – Generic Core Material manual. Additional QA specified learning material may also be required. On successful completion delegates will be nationally certified for three years with an Ofqual (Office of Qualifications and Examinations regulation) qualification. FREC is also on the Qualification and Credit Framework (QCF) and approved by the Royal College Of Surgeons Faculty Of Pre-Hospital Care.